Picture this: You just had the most amazing dental visit! The service was excellent, the staff was friendly, the dentist was incredibly talented, and the list goes on and on. You’re definitely feeling the love, and while you highly recommend your dentist to others in conversation, have you ever considered leaving your dentist a Google+ review? Google+ reviews help other like-minded people in your area make well-informed decisions about local businesses and the products and services they offer. 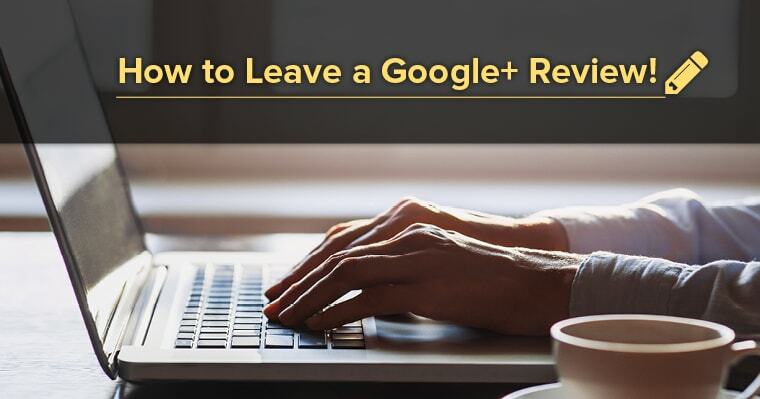 Leaving a Google+ review is quite simple, and to make it even easier, we’ve prepared a handy sheet to walk you through the basic steps. Click on the image below or download it here to get started now. What should you include in your Google+ review? There are three main things that make a Google review meaningful. Including these details helps show Google that we take customer service seriously and truly want to be the best at what we do. People: Name staff members who really stood out to you during your visit. Location: Include your geographical location or community’s name. Information: Share specific services you underwent. Be informative and insightful: Don’t be afraid to be specific and relevant; describe what other visitors are likely to experience. Highlight what makes the dentist or office so unique. From Invisalign to fillings to five-star service, reviews should exhibit the unique expertise the practice offers. Be real: Authenticity is key. Review your experience, and describe why you loved or disliked your visit. Endeavor to be as accurate as possible, and incorporate both positive and negative (if there were any) aspects of your visit. Be respectful: Not every experience is going to be perfect. Sometimes you’ll want to share negative feedback. Even if you’re frustrated, please ensure your analysis is constructive, as we often use your comments to help improve our services. Write with style: Keep your reviews readable and avoid excessive capitalization or punctuation. Use good grammar, check your spelling, and choose the right length – about a paragraph is great. What does a great review look like? One of the fundamental reasons why people write reviews is because they have a desire to help others. They consider the information they would want to see when weighing an important choice and share it so others can make an educated decision. So help us help others, by posting your Google+ review today!